​You Are in a Closed Room. An Elevator. A Bathroom﻿. An Airplane. And, you just feel... TRAPPED!! ...and ESCAPE the FEAR NOW ?! 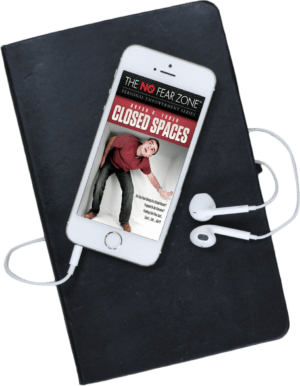 The fear of closed spaces — even claustrophobia — is a common uncontrollable and (usually) baseless fear. Sometimes, it's not just small spaces; it's the feeling of being locked inside! Many people think it is a silly fear; but for YOU, it is real and terrifying. You become paralyzed. Afraid to do even simple things like using a small bathroom or riding an elevator. Way back in 2002, just after I started in my practice, a successful business owner was asking me about hypnosis and how he can get over his claustrophobia. He went to therapists, doctors, psychiatric therapists and more! For YEARS! After just a few suggestions (and you'll get these on these audios! ), he was "fixed"! No more "claustrophobia! Amazing? Not to me. This actually works. 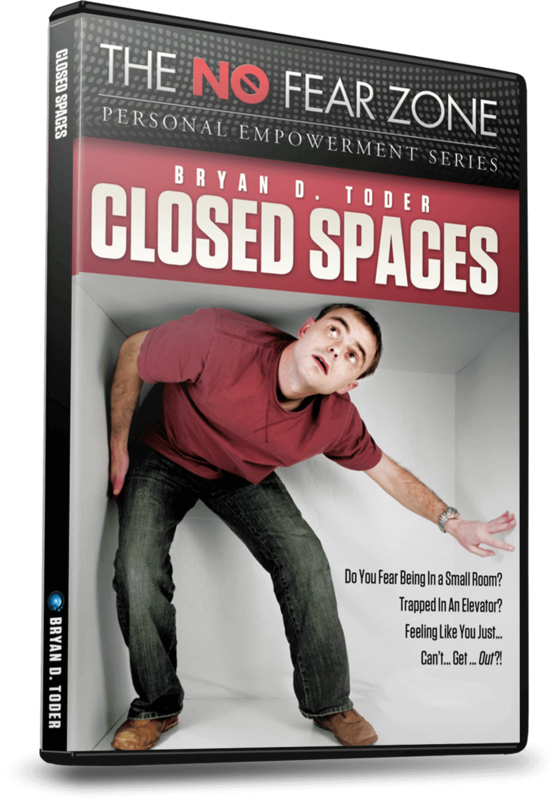 This amazing 2-Audio program will allow you to enter and remain in small rooms, elevators — even airplanes! These are professionally-produced hypnosis programs — the same programs used in hypnotist Bryan Toder’s office — containing positive, verbal suggestions and deeply hypnotic background music to reduce your stress and allow you to enter and remain in small rooms or spaces — without the paralyzing fear! After TEN MINUTES I explained to him how he can fix his "claustrophobia" (which it WASN'T!) — and he told me he had gone to therapists for over TWO years who never said what I told him. Get instant access to Closed Spaces now! "I've been going to therapists for over two years and nothing worked... until now. This actually works!" "I [was] suffering from extreme claustrophobia... I now have tools to live a more stress-free life. I now recommend to anyone I know who suffers from ANY type of anxiety or stress." This is about taking back your life and be able to be in closed places, like elevators, small rooms... even airplanes!